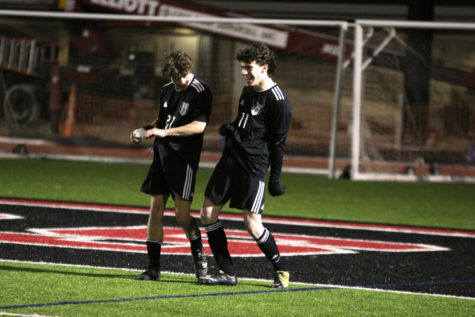 Senior Max Pabin passes the ball to sophomore Cade Novicke. 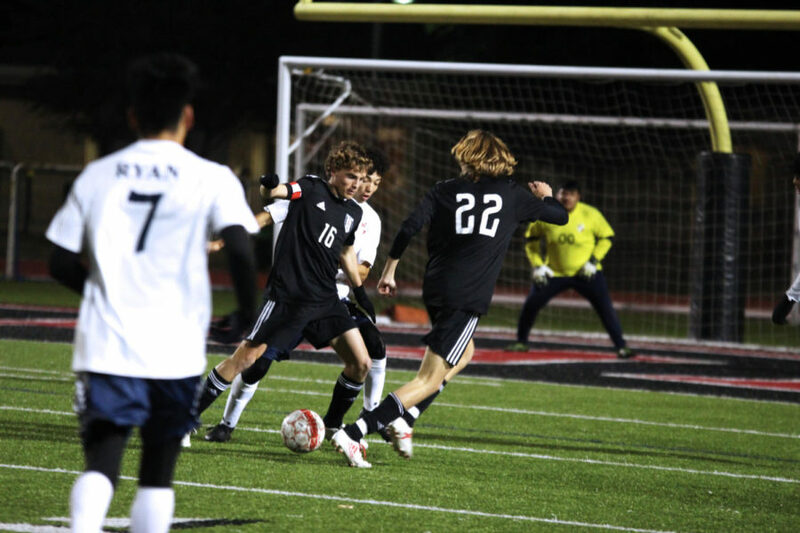 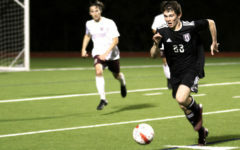 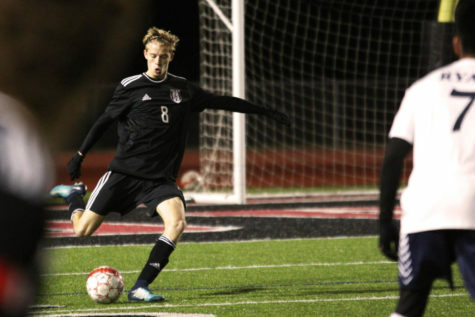 After a close win in round two of the playoffs, the boys soccer team (19-5-1, 8-2) has will play Frisco Heritage (15-2-6, 12-2-4) tonight at 7:30 at McKinney Boyd Stadium. 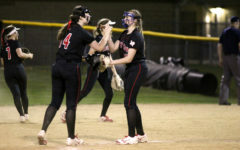 Heritage finished third in the Frisco district. 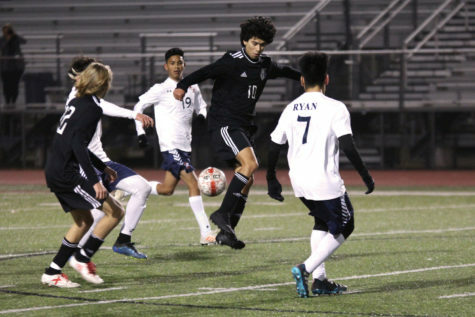 Some of the best teams in the past have came out of the Frisco district, including a state friendly Frisco Wakeland team. 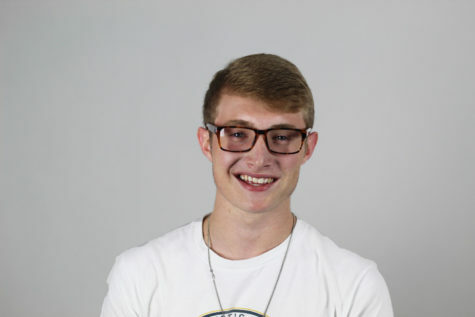 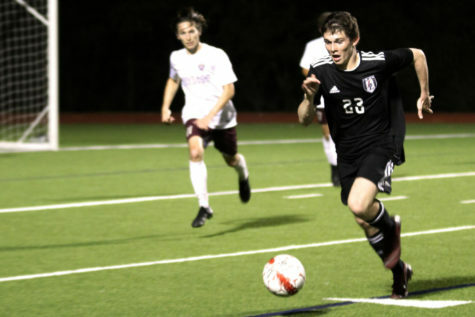 “If we win this game and the next, we will most likely face Frisco Wakeland in the regional final,” senior captain Max Pabin said. 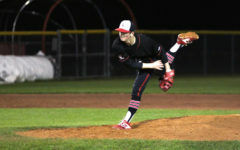 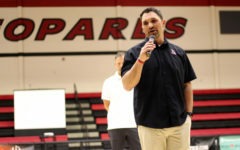 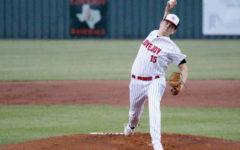 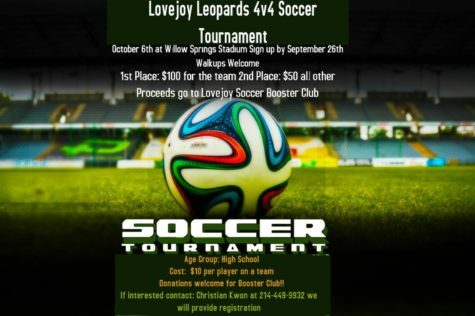 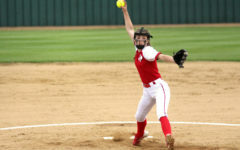 “They are definitely one of the best high school teams I’ve seen play. 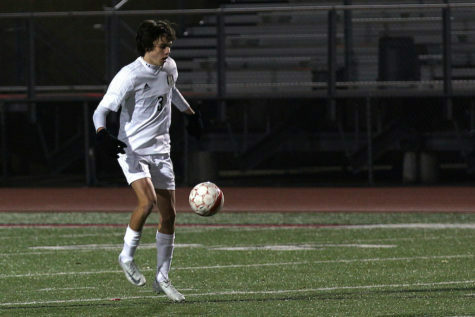 On Tuesday, the Leopards defeated Adamson (14-5-3, 9-1-2). 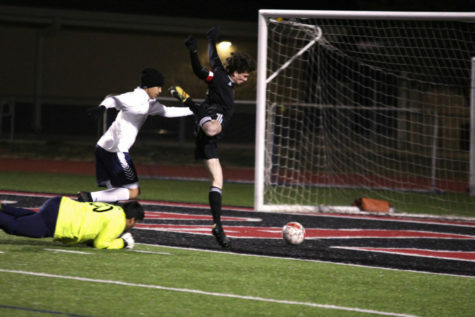 Going into halftime, the boys were tied 1-1. 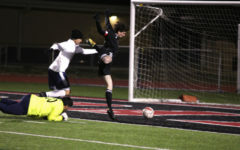 Then Adamson went up 2-1. 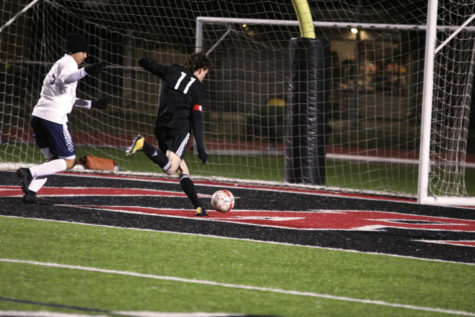 Junior Michael Branch then got a penalty kick and capitalized on it, tying the game up at two. 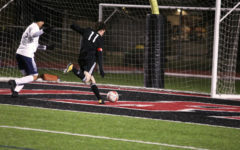 With seven minutes left, senior Benji Merrick ran down a ball, split the goalie and a defender and walked the ball into the goal for an easy point and the winning score. 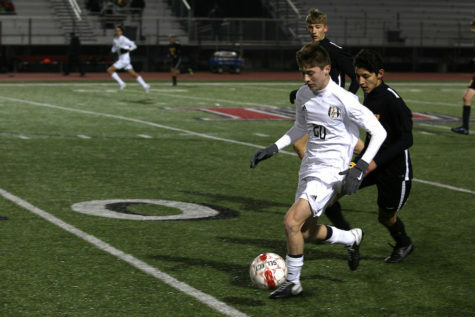 If the Leopards win tonight, they will play Mount Pleasant (20-4-1, 9-0-1) in the regional semi-finals.